"Spirit wait!". Promo for new crossover story Spirit and Kayley~ Quest ForCamelot. And this time Spirit can speak in human language. 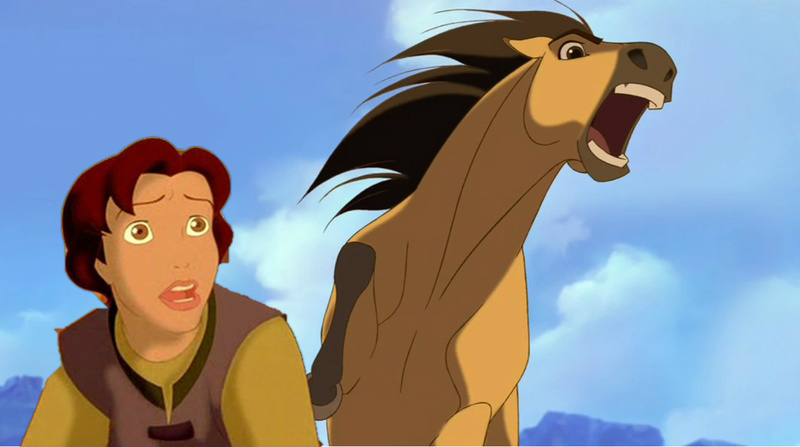 HD Wallpaper and background images in the disney crossover club tagged: photo non disney kayley quest for camelot 1998 spirit sprirt: stallion of the cimarron 2002.